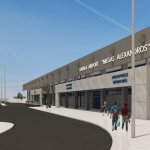 Operating profitability have presented the 14 regional airports of Fraport Greece. All these 14 airports, between April 11 and September 30, showed revenues of 181.4 million, and net profits of 29 million. The performance of Greek airports has made a decisive contribution to improving the operational profitability of the Fraport Group. It is worth mentioning that Greece was the second largest source of passengers for Fraport after Frankfurt airport (48.86 million passengers in the nine months). The largest increase in traffic in January-September, compared to last year, was registered by Mykonos (19.3%) and Kos (18.5%). Followed by Samos (14.7%), Kefalonia (13.7%), Thessaloniki (13.3%), Kavala (12.2%) and Santorini (12%). On the other hand, the profitability of 14 airports – in the coming months – may decline due to both the winter season and the start of construction work.